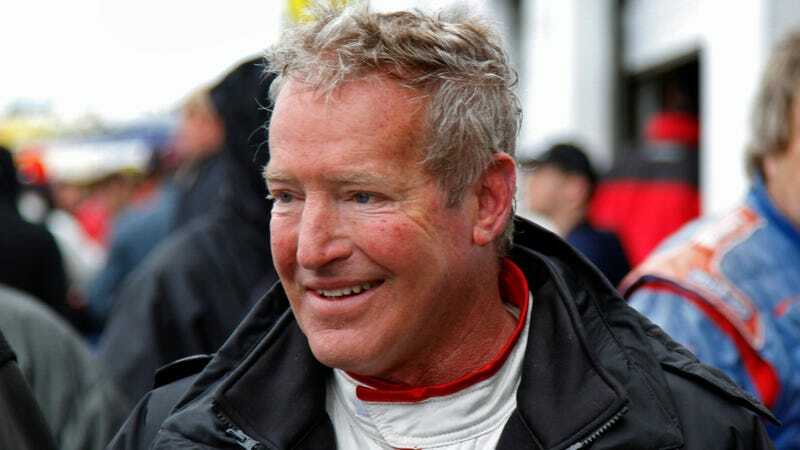 Three-time 24 Hours of Le Mans winner Hurley Haywood has always been very private about his personal life, but one personal secret was widely known within the racing community: Haywood is gay. Haywood not only confirms it in his new autobiography, but hopes that being open about it will help others accept who they are. A year and a half later, the man’s mother called to thank Haywood for saving her son’s life. This is what inspired Haywood to be less private. “Hearing from that mother—well, it was very emotional. And I thought, if my voice is strong enough to help one kid, it might help two kids, or five or a hundred,” Haywood told Autoweek. Haywood also hopes his discussion of the suicide of his friend and longtime racing partner Peter Gregg will also lead to a better understanding of mental health issues. Gregg suffered from eyesight problems after a car crash in France seven months before he ended his life. Many believe those issues caused him to falter in racing, and Gregg couldn’t cope with his loss of ability. Haywood believes he would have been able to see that Gregg was struggling if he had known the right signs to look for. When I grew up, life seemed simpler. Kids didn’t have all these distractions. Now, there’s so much more competition, so much more peer pressure. The suicide rate is just out of control. Bullying is out of control. Haywood says that the racing community has always been accepting of Haywood’s homosexuality, as it never affected his ability to land drives in race cars. But the outside world isn’t as accepting, and Haywood wants to be a role model for more than just that one young man. Haywood’s autobiography Hurley: From The Beginning goes on sale starting in early March, and will be followed up in June with a documentary about his life titled Hurley. The film, which is produced by Patrick Dempsey and directed by Derek Dodge, is currently in post-production and the producers are hoping to place it with a film distributor or broadcaster soon. We’ll be following that one closely as more news rolls out. Correction [2/8]: Per Derek Dodge, the filmmakers are still pursuing several different distribution avenues for the documentary—not just TV—so we’ve edited out the networks originally named above per his request.